You already have a bunch of healthy habits, so find out what they are and how you can continue doing them. Maybe you are drinking enough water or eating loads of veg? Whatever it is, WELL DONE and keep it up! Acknowledge what you are doing well, and give yourself some credit for it! Now have a look at the unhealthy habits you're wanting to change. Decide what goal you're wanting to start working towards and write it down. It's super important that you also scribble down the WHY, the reason to why you're wanting to change. Preferably, keep your goal visible so that you can remind yourself about it daily, put it up on your fridge, wall or as a reminder in your calendar. Be as specific as possible, so that you know when you have reached your target. Now, get working and please be in touch with any comments or questions! I'd love to hear from you! When having a lot on your plate it's easy to forget to take time to relax, unwind and do something as simple as laugh. It's also easy to get stuck in a habit of focusing on negative things and for instance to read only sad, serious books or watch crime series, which definitely is not helping to increase the amount of laughter you enjoy on an average day. Relax, and the laughter will come. If you're stressed it's hard to laugh. Try mindfulness, yoga and to take a mental chill pill. Put silly worries away, focus on the important things you need to get done, and feel your shoulders drop. By creating space for unwinding, you'll find it's easier to get laughing. Decide to focus on more positive things. Choose comedies instead of crime or dark series, watch stand up, follow funny accounts online and read jokes when you have a spare minute. Why not create a group with your friends where you share jokes or positive things from your everyday lives? Inactivity is becoming a health issue. Our bodies are built for movement, and function better when you exercise regularly. Preferably you should move you body every hour. A few times a week you should get your pulse up as well as challenge your muscles. The NHS and the WHO recommends adults to exercise 75-150 minutes a week depending on intensity. In general though you could say that the more intense workout, the shorter you need to do it. And the other way around - if you exercise on a low intensity you need to move your body more often. However, everyone is recommended to do some cardio. We'll always do a lifestyle analysis first, to make sure we create a workout plan that works for YOU. I'll give you a plan tailored to you and your life. You'll get to do different kinds of exercises that you enjoy. (The exercise can be done in your home, at the gym, outdoors, in a class - really wherever you prefer). I'm here for you during your journey as much as you need via chat, emails or text messages. Are you reading this post to get motivation to workout? Well, it’s simple: get up now and do something. Walk, dance, skip, yoga - just move your body. All exercise is good for you body (and head). A good rule is that one minute of vigorous activity provides the same health benefits as two minutes of moderate activity. One way to do your recommended 150 minutes of weekly physical activity is to do 30 minutes on five days every week. All adults should also break up long periods of sitting with light activity. Recent studies show that we sit way too much and that a sedentary lifestyle is threatening our health. Here is a post on why sitting too much is bad for you. By knowing why exercise is so good for you, you might find yourself working out more. Here are all the reasons to get going 2019. Remember to not exaggerate your goals, and here is how much exercise you should do to stay healthy. 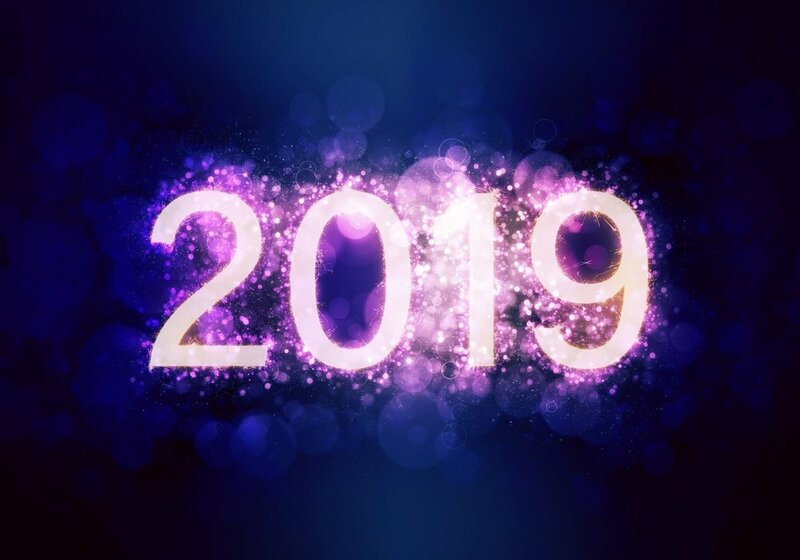 For more tips on how to get a healthier and happier 2019, check out this post on how to create a successful New Years resolution.